"The Jewish Federation Goldsmith Center -- reborn state-of-the-art headquarters of The Jewish Federation of Greater Los Angeles -- enjoyed a splashy grand opening celebration on Dec. 10th. 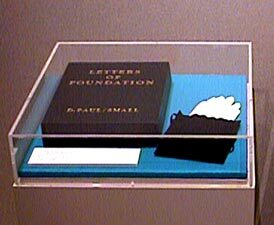 ...the building's two-year refurbishing process, which corrected damage incurred from the Northridge quake... Special artwork commemorating the event awaited attendees inside the Bell Gallery, such as 'Letters of Foundation,' conceived by Lynn Small and Dennis Paul." ""If God uttered words to create the universe, it's not surprising that two L.A. artists are using the Hebrew alphabet as inspiration for their own work... And possibly, glimpses of the Divine." 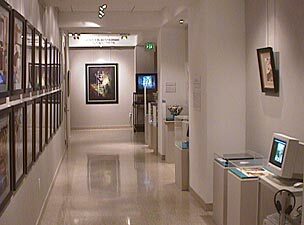 Artwork from our collaborative KABBALAH Series had been selected to represent the "Transformation" in the Bell Gallery Inaugural Exhibition at the Federation's newly refurbished headquarters on Wilshire Boulevard. 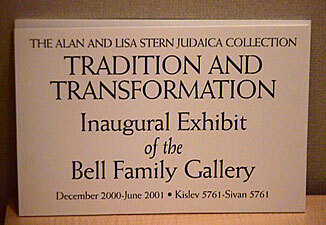 Selections from the Lisa and Alan Stern Judaica collection were also on view representing the "Tradition." 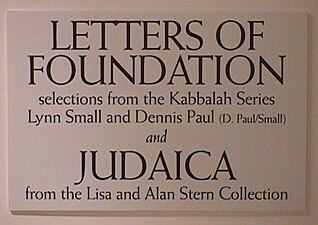 The exhibition featured our Letters of Foundation a contemporary interpretation of the Hebrew alphabet that was created for the 1993/94 Aishet Hayil/Woman of Valor exhibition at Yeshiva University Museum, NYC. both the Ilfochrome and Archival Pigment print editions. In fusing our artistic entities and tracing the evolution of each Letter from ancient times (400 B.C.E.) to present-day configurations, we hoped to join the continuum of the creative wellspring: spirit, matter and being. The spiritual powers inherent in these ancient Letters continue to be a source of revelation for those who attempt to penetrate their mysteries. 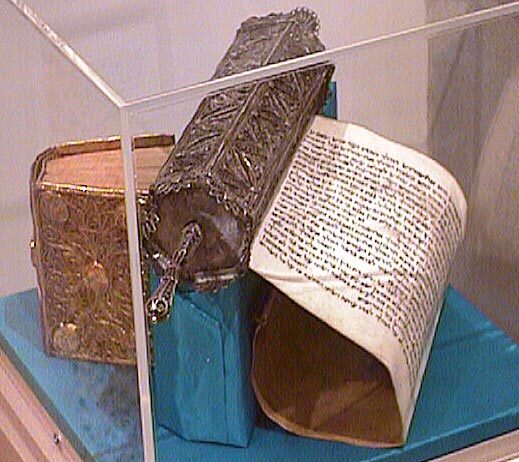 Begun in the early 1990s, the KABBALAH Series merges our desire to reference mystical symbols of the Infinite One, Jewish culture, spirituality, and 21st century technologies. 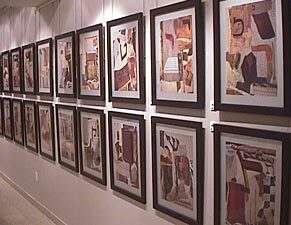 We created these works by fusing traditional art and photographic processes with computer manipulation. This new palette of tools enables us to integrate the protoplasm of AlephBet with images drawn from our art, historical texts and satellite imagery. It has extended the parameters of our imaginations and allowed us to work in the digital realm of video, SoundScapes, multimedia installations, and the Internet. As artists, we build upon the ancient dialogue of Creation, transforming the oldest of codes into contemporary modalities, an infinite pathway without beginning or end. A truly transformative photograph is our Before One, a large LightJet print that was our first work created exclusively with "smart sand" - digital code and computer manipulation. 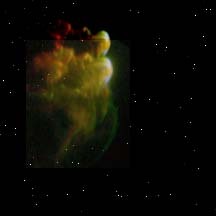 With the Hubble Telescope's capture of the Orion Nebula, mankind witnessed for the first time, the creation of a new universe. 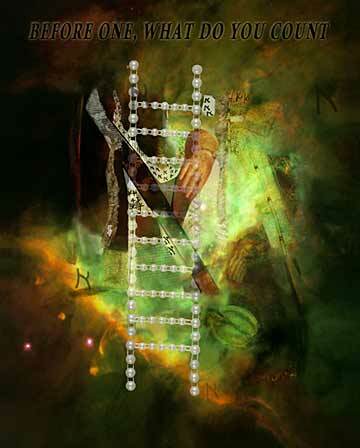 Two images from the Letters of Foundation, Aleph and Pearls of Wisdom, were layered with this reconfigured NASA image. Printed directly from computer code, it is a seamless utilization of 21st century tools. 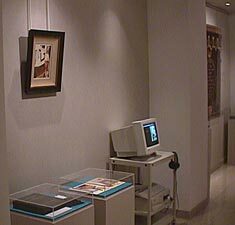 An interactive computer program was created and premiered at the San Francisco Bureau of Education's January 2000 exhibition The Art of the Alef-Bet. The program is the heart of a future learning module that features a continuous-running presentation of the Aleph-Bet and an interactivity which allows the viewer/participant to access text and individual images. 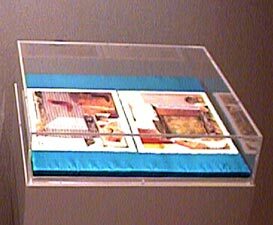 In the Beginning a 10-minute video was created to document our multimedia installation for the 1998/99 ELEMENTS exhibition at the Los Angeles Municipal Gallery, Barnsdall Art Park. 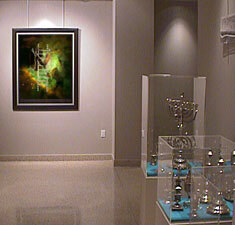 The two-room work included digital sound and 3 video projections, painting, photography, Golemess III installation, and an interactive computer station with the CoLabART website. 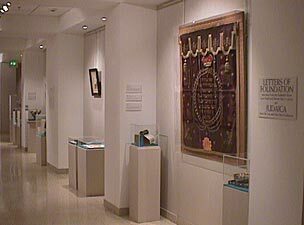 Our first Golemess (a female golem) was part of a presentation for the University of Judaism's 1995 Spiritual Matter in Contemporary Art series. In the Beginning digital CD SoundScape 1995 is a 35-minute original composition done in collaboration with Stephen G. Scott. This SoundScape, in which the elements of Creation play a crucial role, contains various movements: Out of the Void, Breath of Life and Tools. A drop of water - the beginning of life - turns into a gentle stream, a waterfall and a river flowing into the ocean. It includes readings from the Zohar and Sefer Yetzirah (Book of Creation) and our Tapestry of Hope interactive poem. 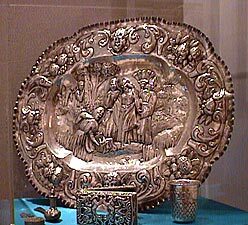 It often accompanies the Golemess installations. 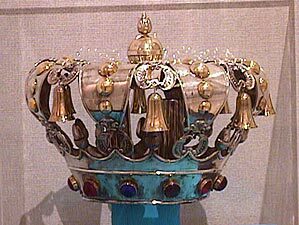 "The Art of the Alef-Bet"
is the heart of a future learning module.